Are you looking for a delicious chocolate recipe with a difference? If you are, you’ve found it! Here’s my chocolate ice cream sandwich for you to enjoy. 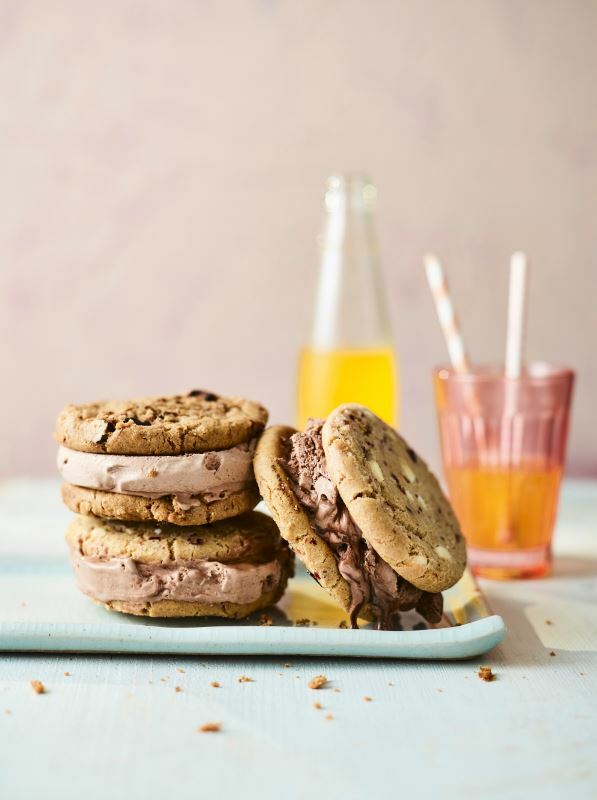 Feast your eyes on the finest chocolate ice cream sandwich! It’s straightforward and fun to make this great dish. Simply follow the instructions below and get the perfect result. Put the egg yolks, sugar and vanilla in a medium heatproof bowl and set the bowl over a saucepan of simmering water. Ensure the base of the bowl is not touching the water. Stir with a balloon whisk for about 5 minutes or until the sugar has dissolved and the mixture is pale, thick and creamy. Remove from the heat and gently fold in the chocolate spread in 3 stages. Leave to cool completely. Pour the cream into a medium bowl and whisk until thick enough to just hold its shape and form soft peaks. Gently fold the cream into the cooled mixture in 3 stages. Spoon the mixture into a 1-litre rigid freezer-proof container. Cover with a lid or cling film and place in the freezer overnight to set. Remove the ice cream from the freezer 5 minutes before you are ready to serve. Arrange 12 cookies on a work surface, with the flat side facing upwards. 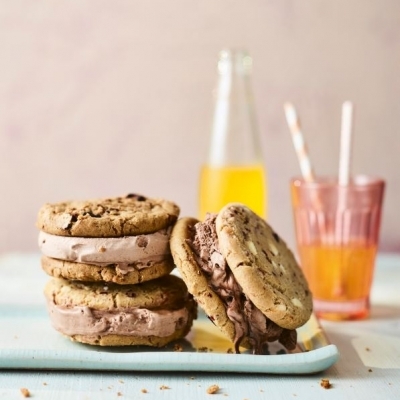 Place a scoop of ice cream on each cookie then top each with a cookie placed flat-side down to make a sandwich. Gently press the top cookie to spread out the filling. Using a palette knife, smooth the side of the filled cookies. 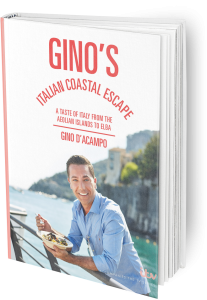 Once you’re done, simply sit back and enjoy your chocolate ice cream sandwich and don’t forget to check out other great authentic Italian recipes including great antipasti recipes, Italian pasta recipes, Italian soup recipes, Italian beef dishes and authentic pizza recipes.